(VEN) - In the first nine months of 2017, Vinh Phuc Province attracted 253 foreign direct investment (FDI) projects with total registered capital of US$3.7 billion. Provincial People’s Committee Vice Chairman Le Duy Thanh affirmed FDI plays an important role and contributes significantly to socioeconomic development in the locality. According to the provincial people’s committee, 185 projects have gone into operation, and 65 percent of registered FDI capital has been disbursed. 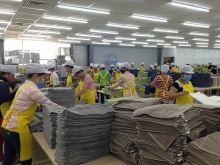 The FDI sector has contributed significantly to Vinh Phuc Province’s economic growth, export value and budget revenue, and generated jobs for local workers. The sector’s export value increased from US$224.25 million in 2000 to more than US$1.76 billion in 2016, accounting for over 95 percent of the province’s total export value. Vinh Phuc’s budget revenue grew from VND10 trillion in 2009 to VND25 trillion in 2015 and exceeded VND30 trillion in 2016. The FDI sector contributed considerably to this growth, Le Duy Thanh said. The FDI sector has also contributed to restructuring the provincial economy. Currently, the agricultural sector creates 9.3 percent of the provincial gross domestic product; industry and construction 61.9 percent; and services 28.8 percent. In the industrial sector, FDI businesses account for a large percentage in areas which create high added value, such as automobile manufacture and assembly, electronics, textiles, garments and footwear. So far, FDI companies in Vinh Phuc have created jobs for 75,000 workers (73 percent from Vinh Phuc and 27 percent from other localities). Despite its significant contributions, the FDI sector still has shortcomings. Specifically, many FDI projects still use outdated polluting technologies and low-cost labor. Most FDI companies use components and spare parts supplied by foreign partners, restricting opportunities for Vietnamese businesses to participate in manufacturing support industry products. Domestic companies therefore are involved in manufacturing only simple product components. This creates an unfair competition environment in the province. 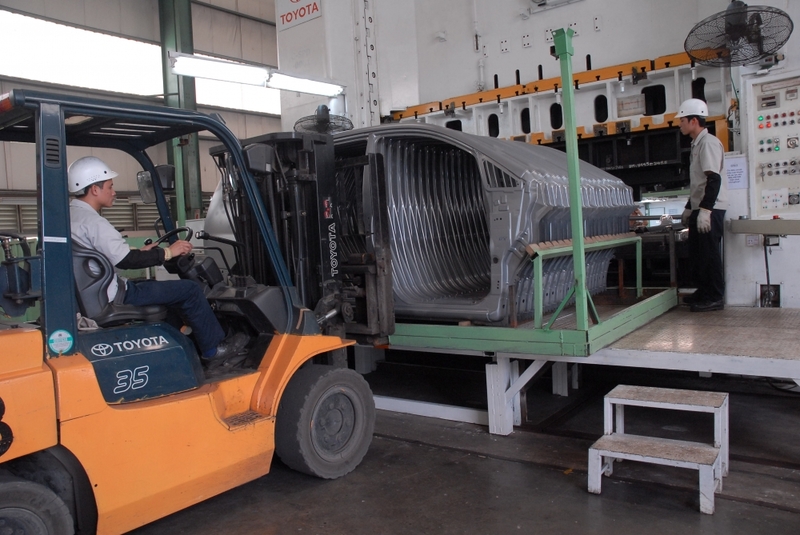 To surmount these problems, Le Duy Thanh said Vinh Phuc Province would concentrate on attracting high-tech projects that are environment-friendly and help promote Vietnam’s participation in global value chains in fields such as electronics, telecommunications, engineering, construction materials, and industrial zone infrastructure construction. Priority will be given to multinational groups and support industry businesses from Japan, the Republic of Korea, Chinese Taipei, and potential partners from the EU and the US. To attract quality FDI projects, Vinh Phuc will continue improving the investment and business environment to create the most favorable conditions for foreign investors. At the same time, the province will create opportunities for local businesses to learn from the experience of foreign partners to seek deeper involvement in global value chains.